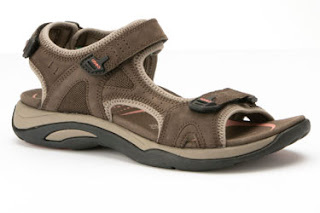 With summer romping at our heels, I thought it would be a great time to do a “Top Ten” list for my personal recommendations for excellent sports/casual women’s sandals. Please keep in mind that there are many other wonderful sandals out there and if you know of one that you recommend but it hasn’t made my list, I would love to hear from you in our “comments” section. As always, I will give pathology specific advice regarding each sandal since not every type of shoe is for every patient. Always remember that when you are in the store trying on the shoe, check each shoe to make sure that the sole is thick and rigid with as little bend as possible across the ball of the foot and there should be no motion across the arch area. I always check my patients shoes and you would be surprised how many times someone is unknowingly wearing a defective or “broken” shoe. **I have no relationship with any of these shoe companies or manufacturers. 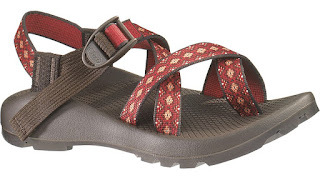 Keen’s Venice H2 is a great sandal for many reasons. It has a thick, rigid protective sole with excellent added toe protection as well as excellent forefoot, midfoot and rearfoot control. It’s a great sandal to wear at the beach and even into the water or surf (amphibious sandal) – especially if their are rocks and sharp pebbles. If you have hyperhidrosis (excessively sweaty feet) this is a good choice because it’s easy to clean between uses. This is a popular shoe with many of our patients due to it’s comfort, decent price and the fact that it’s light weight, good looking and versatile. It has a thick and relatively rigid sole with adjustable forefoot, midfoot and rearfoot control. It particularly works well for older patients who prefer a lighter shoe. 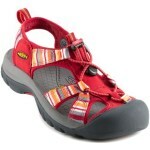 This is a very similar sandal to the Ecco Yucaton in it’s build, weight and recommendations. This sandal is approved by the American Medical Podiatric Association and provides good biomechanical control of the foot and ankle. I really like this sandal! If you like the Fit-Flop – this is much better. It has an awesome sole that is thick, rigid and light. Easy Spirit claims that the sole has “Anti-Gravity formula with nitrogen bubbles in the foot bed and dual density mid-soles.” Basically, it is a beautifully light-weight sandal with good forefoot, midfoot and rearfoot control. It’s semi-rocker bottom sole offers great shock absorption and protection for the entire foot. Every patient who has gotten this sandal – loves it! I love the Chaco’s! 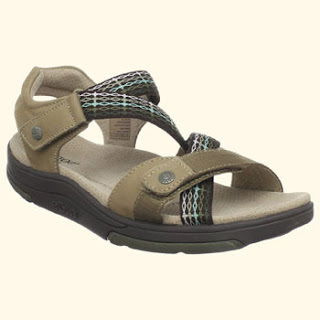 This is a great sandal with fabulous arch support and a thick rigid protective sole. It’s great for “surf and turf” wear and works well for anyone who has problems with sweaty or smelly feet (called hyperhidrosis and bromohydrosis) because the sandal is so easy to clean. If you have painful bunions or Tailor’s bunions – be careful that the straps do not cut across them which can cause more irritation and discomfort. The best thing about this sandal is that the insole is removable and can be replaced by a custom-molded orthotic (assuming it’s topcover is full-length and black so that it matches the sandal). However, the insole that comes with the sandal is very good since it is a soft material and offers good arch support. The forefoot, midfoot and rearfoot strapping is adjustable and offers excellent biomechanical control for the foot and ankle. The only issue that can occur with this sandal is that if you get a size that is too small (or if you have an abnormally long 2nd toe) – your toes may hit the front “toe guard” which can be irritating and painful. 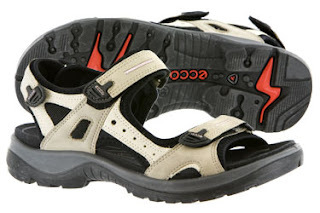 Overall, an excellent sandal – particularly if you have a custom-molded orthotic that you need to wear! Another great Keen Sandal! This sandal offers even more biomechanical control and protection of the foot and ankle than the Venice H2. It has a thick, rigid, and protective sole as well as an excellent forefoot guard for the toes and wonderful forefoot, midfoot and rearfoot adjustable strapping. If you have a 2nd toe that is excessively long compared to the other toes, this may not work as well for you as the long toe can bump against the toe guard and cause discomfort and even toenail injury and promotion of hammertoe formation. Just be sure that your toes do not jam forward into the toe guard and you should be fine. Similar recommendations as the Keen Venice H2 (See above). It’s frustrating when I hear the bad press on Sketcher Shape-Ups! Although there are some patients who I would never put in a rocker-bottom soled shoe, the majority patients wearing this shoe will greatly benefit from it. Patients who should not wear a rocker-bottom shoe are: anyone with balance issues, anyone with Achilles Tendonitis, the elderly, anyone with nerve damage that causes muscle or leg weakness. The patients who typically do benefit from this type of shoe are: people who are on their feet for long hours on hard surfaces, most people with knee, hip, or lower back pain, and people with heel pain. This is another great rocker-bottom soled sandal. I like the extra arch support that is built into the sandal and I also like the aesthetics. 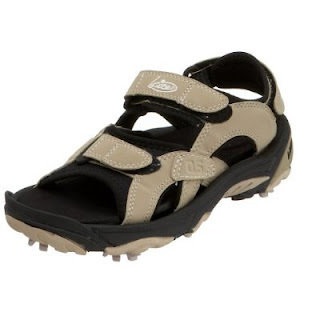 Because this is a rocker-bottom sole sandal – the recommendations are the same as the Sketcher Shape-Up (See above). I own the MBT and if my lower back ever hurts, I wear the MBT walking shoe and I get instant relief. I do all my workouts on the treadmill in the MBT walking shoe and, as far as sandals go, I believe that the MBT sandals are excellent. The MBT’s are a bit expensive but I recommend that my patients look at it as an investment as it may save them not just pain but also money in doctor’s bills for painful feet, knees, hip and lower back. Good shoes are crucial to keeping joints healthy! So, as we get older, we can keep out joints healthy and protected so that we can stay active and do all the activities we love to do! 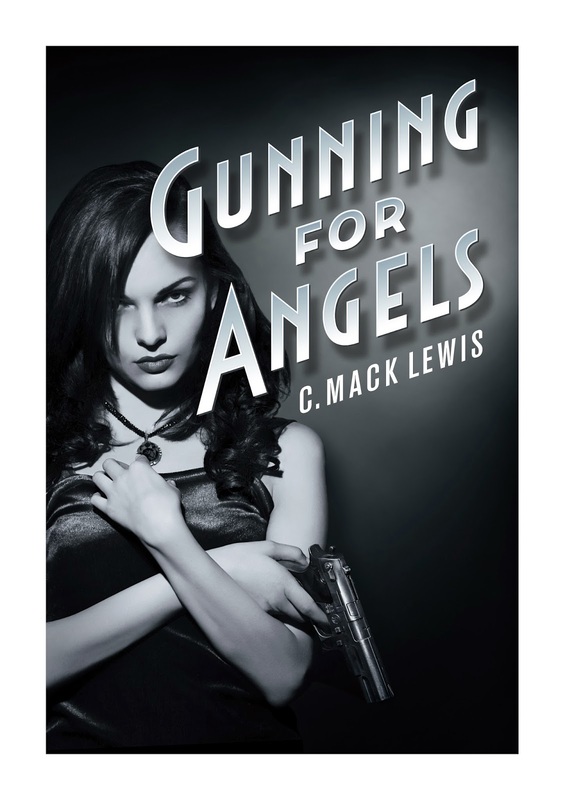 Check out my first novel written under the pen name C. Mack Lewis. It’s available on Kindle or you can download a free Kindle app and read it on your iPad or tablet.